World War 2 novels are my jam, so when a colleague at work recommended I read Unbroken I veered off my reading list and made an exception. 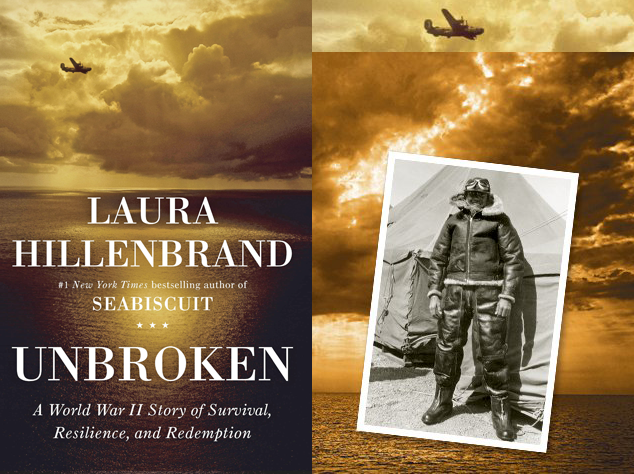 Unbroken chronicles the incredible life of Louis Zamperini during World War 2. His journey is both harrowing and fascinating. While reading the novel, I had to keep on reminding myself that his story was real. You cannot believe the coincidences that happened in this man's life - it really is beyond imagination. I was impressed by Laura Hillenbrand's ability to tell a story. Not only did I learn about Louis, but I also learned interesting facts about the War that I had not known beforehand. Because the facts were interwoven with Louis's story, the novel was really easy to read and not boring. Laura won me over with this book. So much so, that I have continued to diverge from my reading list to read her first novel, Seabiscuit. Bottom line, this book is awesome and you need to check it out ASAP.